Christian has spent a long time preparing this brand new release. Before this version there used to be FlodXM for FastTracker replay, FlodES for extended formats, FlodPro for an interface and all kinds of files everywhere. With this release everything is consolidated together at last. One simple point of entry, one great playback. 17.0.942.0 to develop it), hopefully in the future other browsers will add support for the Web Audio API. The ActionScript 3 version of Flod requires Flash Player 10. It only adds a tiny footprint to the final SWF size. On the github repo you’ll find the new version and all previous releases, including the old Flod Beginners Guide, Flectrum, Flym and more. There’s a great tutorial on getting started with Flod/AS3 on TIGForums. Flym is an Atari ST YM format music replay class. YM files are typically created by Atari ST emulators, and are raw register dumps of the Yamaha soundchip. There are lots available for download and most ST emulators can create them by recording the music currently being played in a game or demo. The Flod range of classes were a huge amount of work, and as such if you plan on using it in a commercial SWF the author requests you make a donation (minimum of $5) towards the project. “Commercial” means anything that is going to make money. 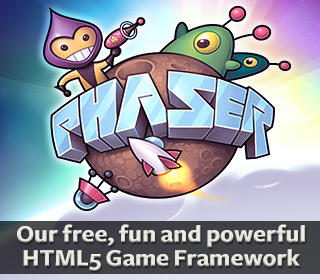 This includes (but is not limited to): Flash games seeking sponsorship, Flash games with MochiAds / cpmStar / or any other form of advertising, games you will upload to Kongregate or NewGrounds (if it contains their ads API), and all forms of Flash work sold to clients / publishers. If your SWF will not directly earn you money (for example using it for music replay in a demo) then you are free to use it without paying. To obtain a copy of your license please make your donation (minimum of $5) by PayPal to: chreil at hotmail dot com – if possible include a link to your project (more for our interest in seeing how Flod is used than anything else). You will receive a license back by email. I absolutely can’t wait to start playing with this. Why call it amiga sound tracker music? What formats does it play? mod, s3m,…? They were played and composed just as well on PC! No, it doesn’t play S3M, just .mod files – the vast majority of which were created on the Amiga, and exist because of the Amiga. Got everything quickly wired up and working on my test game demo! And bypass using ModSong at all. Is this considered ‘best practice’ or am I missing something obvious? This is awesomeness in cans!! 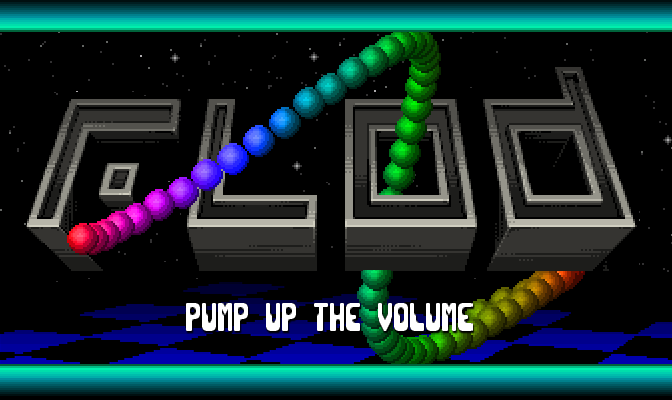 Flod is a replay routine based on the Sound/Noise/ProTracker software on the Amiga, it plays .mod only and it does try to emulate the real amiga hardware unlike most of the mod player out there. Source code provided? that’s pretty awesome. I can’t wait to dig through this and see what’s going on. I’ve been very interested in working closer with sound in AS3, looking forward to checking this out, thanks. downloaded flash cs4 trial but dont understand how to compile. Im a GLBasic man usually . I guess there’s something wrong with the settings I use. Did anyone try and succeed? Problem was I assumed that unused channels don’t count, turns out they have to be removed (“Sub” button in Milky). I have exactly the same question as “Paul Smith” i would like to get rid of the file browser part and just play a .mod file wich is on the server. But my programming skills are 0, if someone could post a modified “Player.as” file i think Paul and me are very happy! Very very cool!, i read someone is also programming an sid player in flash/flex wich would be really cool too! Many thanks for the guide!! think alot of people will be very happy with it. Thanks Richard for the beginners Guide, Excellent work. Frank hope you got it working ok. I used the “basic mod replay with flectrum.swf” in the beginner guide zip and renamed my mod file to “the_enemy_within.mod” and it works great. Wow! What can I say apart from that? Up and running in my Flex engine in FlashDevelop in *minutes*, and works a treat. A fantastic bit of code and saves me the hassle of writing it myself. I was on the verge of digging out and converting my tracker code for the Amiga when a friend totld me about Flod. Massive thumbs up. I’m being lazy I know, but can someone point me to where a channel is triggered to play? I have an 8 frame Santa (2 frames for each limb) that I want to make “dance”, so need to change the state of each limb each time a channel is triggered. Cheers in advance. Ignore me. I’m. An. Idiot. Been away from this sort of stuff for too long. Using the mod format is perfect for creating games with low filesizes. I’ll give you a initial donation when I finish my game, then a percentage of the income, people like you enhance the flash scene! Let me know if you want me to put the source up. Does anyone know if it’s possible to embed .mod into .swf file (in Flash CS4) and use it as a resource, rather than load it with URLLoader? TS – You can only do this by using an Embed command, which means you’ll need to compile with Flex SDK instead of the IDE. Great work on the player, BTW. Amazing thing. 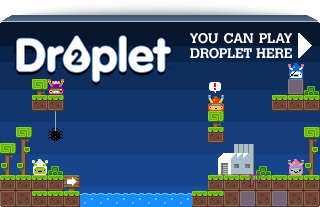 Must say I wasn’t too interested in flash until I ran into flashtro.com site a week or so ago. Made me start learning AS3. Is there a way to tell the ModProcessor WHERE to start a song other than the beginning? Like, being able to have multiple songs using the same samples in the same .mod to save space. I have been looking through the source of v2 and I don’t really know where this could be… the “row” variable jumps out at me, but I’m just not sure. Is FLOD3.0 still being worked on? Making some Mods in MilkyTracker for a Flash game, they sound better played back by Flod than they do in Milky Tracker! – Is it possible to start playback from a certain position? – What is the status of FLOD 3.0? – Any chance we’ll ever see support for more than 4 channels? I have Flod 3 here. It isn’t complete, but just talking with Christian now about releasing it regardless. I’m working on a shooter (getting some help from your Game Dev Tips) and it’d be the perfect time to dust off some old tracker and make some music. Any chance I could beta test it? It would be great if you would support .XM files in the future, I would definitly buy it! – Playback of a module must always start at the begin, the reason is that you can’t possibly know the state of a channel at any position without actually processing all the effects, etc. from the beginning; there might be a speed change command at pattern 3 so if you start at pattern 4 the speed would be wrong, etc. not a soul willing to help me with some math? What are the size benefits to using this over Mp3s for example. Are MOD files significantly smaller? Absolutely awesome and very useful! Zuriki: yes, most MP3s average about 1MB per minute of music (depending on compression used). A cleverly arranged MOD file can be as small as 20 kilobytes! The size of a MOD file is not much dependent on the length of the song, but on the samples that are used in it. Obviously in places where small file size are important, such as in some mobile apps, or games for hand held device, this can make a huge difference. Got it going with haxe with a few very simple steps. Check http://github.com/AndreasOM/haxeflod if you are interested. Awesome! Do you see any possibilities for it to work on iOS (AIR) in the near future? I just tested it on iOS 5.1, (iPhone 4S), it “works” but seems to kill the CPU. The sound is barely playing and the screen doesn’t render my game. Great! How to use it with Konvertor on PCs ? I examined some of the code for the DW player. In FlodJS is there some equivalent of “Flectrum”, or a simple way to get spectrum data? Also now that FF is getting WebAudio support, any plans to try and support it?